PANAUST, the developer of the Frieda River Gold project, has been assured of the government’s commitment and support towards mine start up. Mining Minister Byron Chan said this while congratulating the company on the submission of its Application for the Special Mining Lease (SML) recently. “The government of PNG stands ready to dialogue and work with PanAust. 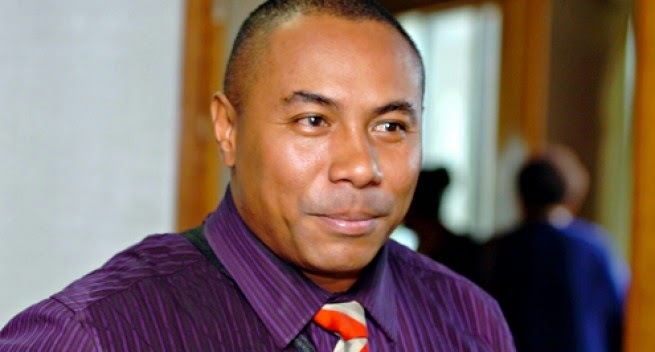 All relevant government agencies are ready to provide you their services where they are required.” “I call on the West and East Sepik provincial governments, landowners, LLGs, politicians and citizens to embrace the project. “Work with the company to ensure that this project successfully gets off the ground so that resource owners, provincial governments, national government and its citizens can benefit,” Mr Chan said. According PANAUST, its average production is 175,000 tons of copper and 250,000 ounces of gold on an annual basis over a mine life of 17 years. There is great potential to increase the mine life with further project audit, adjustments and exploration programs. The project is one of the three significant new generation projects that are expected to contribute to the economy of Papua New Guinea. It will increase the national gross domestic product (GDP) and export earnings, provide long term government revenues and contribute to employment opportunities. The Frieda River project will be the first major large scale resource project in East and West Sepik. This project should be the catalyst to grow other sustainable economies of the Sepik region. “This is a priority project for the O’Neill Government as it comes on the back of the LNG project,” the minister said.